It is important to be persistent and squarely focused on achieving one's goals but it is more important to have faith while pursuing those goals. Work motivated by faith is void of anxiety. Nothing kills a well-intentioned plan or idea quite like anxious energy. And it's annoying. We got nuttin' but love for you, Heavy! Since last night and through this morning I've been contemplating the words, "I can't breathe. I can't breathe." 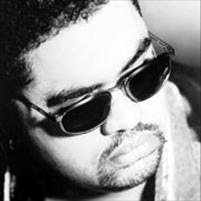 Reportedly, those were the last words of the iconic Heavy D. It is said that he was in distress before he died yesterday afternoon. My heart is filled with sadness for his family and friends. I've been pausing periodically to send them my love through prayer. It all seems so unfair. Too final. Abrupt. The first person I called when I got the breaking news from allhiphop.com was Timothy Jones. Tim and I headed the hip hop conference at Howard University (1991-96) and it was the hip hop conference that served as background for me having met Heavy D in the first place, 20 years ago. 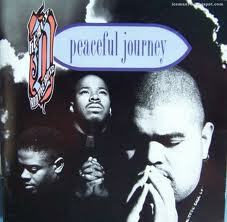 I was president of the conference and Heavy D was one of the biggest names in hip hop. We dedicated the conference to the several people that tragically lost their lives at the City College basketball game that Hev and Sean Combs promoted (Diddy was known as "Puffy" at the time). I remember Hev being consistently gracious. A gentle giant. 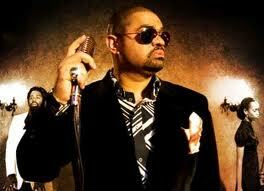 I didn't know Heavy D, I only met him. I loved what I saw, though: warmth, skill, talent, adaptability, a bright light, and some serious dance moves, LOL! He was fun and kind. A peer, he was my generation's version of "Mr. Big Stuff," and he was also my generation's version of Mr. Good Stuff. Meaning, Heavy embodied a spirit that reminded us to have fun and to dance, but without being silly or mindless or irresponsible. And to be cool at it. Life has an unapologetic way of reminding us what's not promised. Death can come at any time, whether you do good work or not. 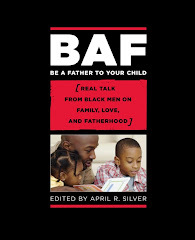 Whether you pray, meditate, work out, eat healthy, tuck your children in at night, give tithes, meet your deadlines at work, call your loved ones just say "hi," go to yet another meeting, catch up on your reading, say a kind word, vote, protest, boycott, fight back...or not. Death is the victor every time so how we live our lives matters. Abrupt transitions like this give pause to the living. I'm reminded of the book of Ecclesiastes from the Bible. It is one of the sacred text that I turn to when things seem out of order. In it, Solomon contemplates the meaning of life. He takes a mental journey that is profoundly philosophical. In the end, we are reminded that, when all things are surveyed, it's best to live happy, enjoy work, and to have faith. And there is no way to have enduring faith without doing the work - be it spiritual work, intellectual work, political work, and the heavy-lifting work that is required to be women and men of good character. Because I know that the sun shines on both the oppressed and the oppressors, my life is committed to preventing love deserts in my family and in my community. It's complex and it's hard work, but I'm not here to do much else. Public Enemy at work. Heavy D at play. Bididilly-bididilly-didilly-didilly dee...or however you spell that thing he did. Hip hop heads know what I'm talkin' 'bout, LOL! with us and reminding us, in your last tweet, to "be inspired." We totally are. We got nuttin' but love for you, Heavy! We wish you a peaceful journey.